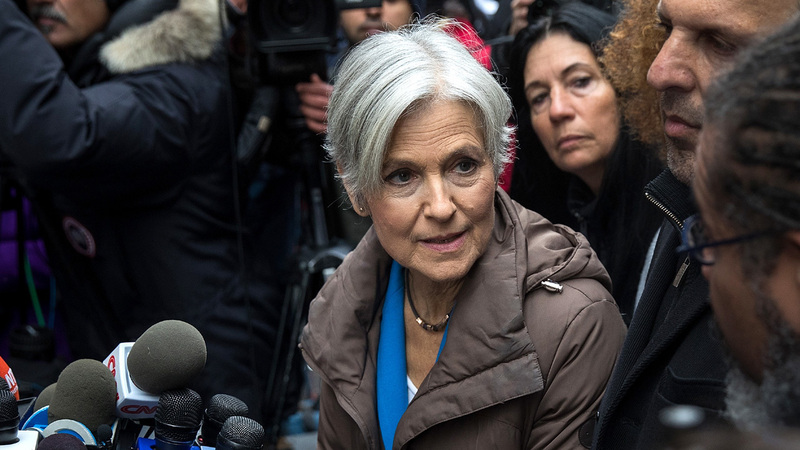 Green party presidential nominee Jill Stein asked for a recount this past Wednesday in three states: Wisconsin, Michigan, and Pennsylvania. Stein was asked to raise 9.5 million dollars by Friday to carry through the recount of votes. She reached 7.2 million dollars according to her website. Trump and his team are fighting hard to stop the recount by filing lawsuits. “We are here to assure Donald Trump that there is nothing to be afraid of,” Stein said, “If you believe in democracy, if you believe in the credibility of your victory, put down your arms, end your bureaucratic obstruction.” “I think the people out here today don’t believe in democracy,” said Jim MacDonald, a 67-year-old actuary from the borough of Queens. He held a sign that read: “Dr. Jill is a quack,” and said he voted for Trump. Hillary Clinton won the popular vote while trump won the Electoral College, the 538-person body chosen state-by-state that actually selects the president. The deadline for all three states to have their votes recounted is by December 13. Wisconsin starts the first recount at 9 A.M.
A federal judge has scheduled a hearing for Friday in a lawsuit filed last week by a Trump supporter and two Super PACs seeking to stop the recount. Michigan’s presidential recount expanded to several new counties on Tuesday, including its largest one: Wayne County, where Detroit is located. In Wisconsin, as of Monday, 95% of the vote was complete. Trump had an increase of 628 votes and Hillary an increase of 653. The recount in Pennsylvania was rejected. Stein argued the use of voting machines could be at a higher risk of being hacked. The votes need to be certified by 12/13 in order to take part in the electoral college vote on 12/19. Jill Stein strategically targeted these 3 states that pushed Trump past the 270 mark and filed the recount request on the last possible day for each individual state in order to tie them up in legal proceedings and prevent them from certifying their votes in time. A lot has taken place since then, including evidence of Russia tapping in and hacking the votes benefiting Donald Trump.